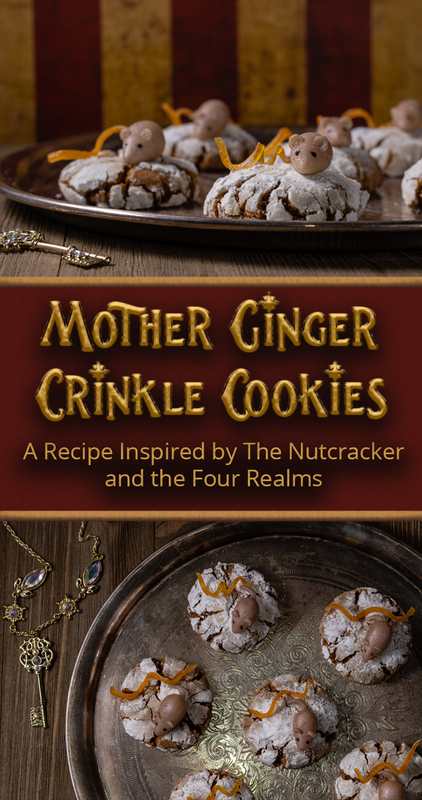 Our recipe for Mother Ginger Crinkle Cookies is a Paid Promotion for Walt Disney Studios’ The Nutcracker and the Four Realms. The holidays may be over, but that doesn’t mean there can’t still be a bit of holiday magic left over. One of the films we wanted to create a recipe for this past Christmas was The Nutcracker and the Four Realms. Due to circumstances beyond our control, we were unable to. So when Walt Disney Studios reached out and asked as to create a cookie recipe for the film we couldn’t say no! Our Mother Ginger Crinkle Cookies are the perfect treat to cozy up with for a movie night at home! Read through the post to find out how you could win a digital copy of The Nutcracker and the Four Realms for your very own movie night! We love bonus features in general and these are no exception. We really enjoyed all of the bonus features, especially the interview with Misty Copeland. The inspiration for our Mother Ginger Crinkle Cookies comes from Helen Mirren’s character. Crinkle cookies are the perfect representation of her face. The mice and orange peel curls are also part of her character visually. Be prepared though, these cookies are not only visually striking but are addicting as well! You won’t want to stop eating them! 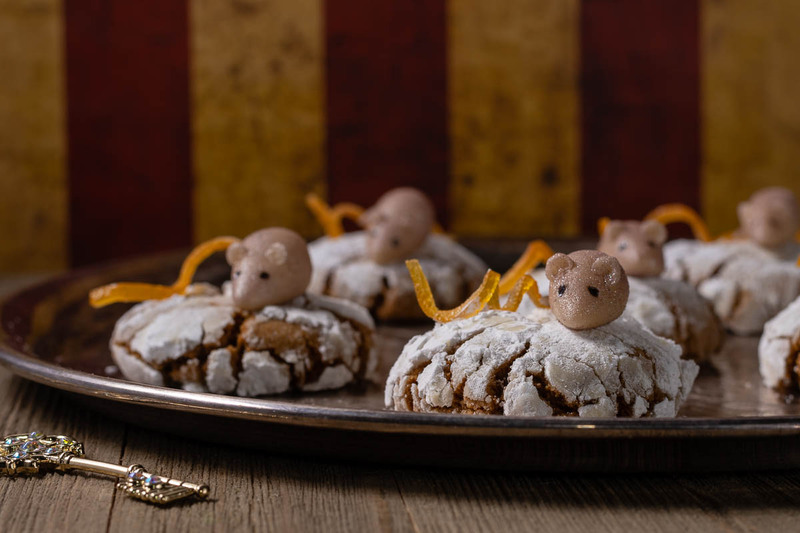 We hope you love our recipe inspired by The Nutcracker and the Four Realms! The Nutcracker and the Four Realms is available now on Digital HD and Blu-ray! Now, as promised, we have a bit of fun! 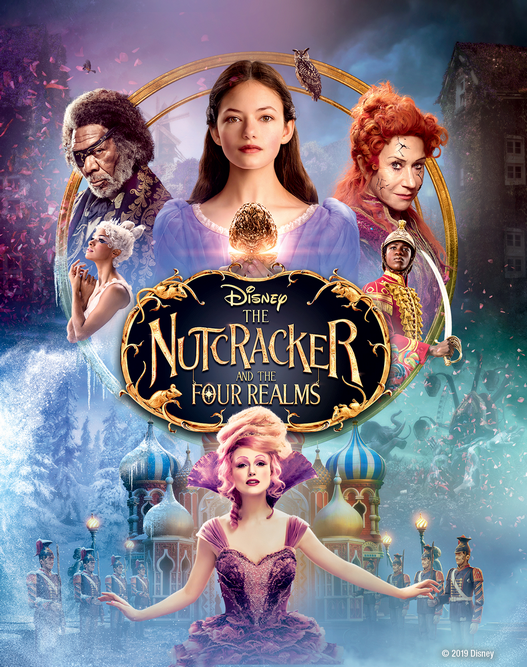 We are giving away 5 digital copies of The Nutcracker and the Four Realms! Be sure to enter below. The winners will be chosen next Tuesday! Good Luck! 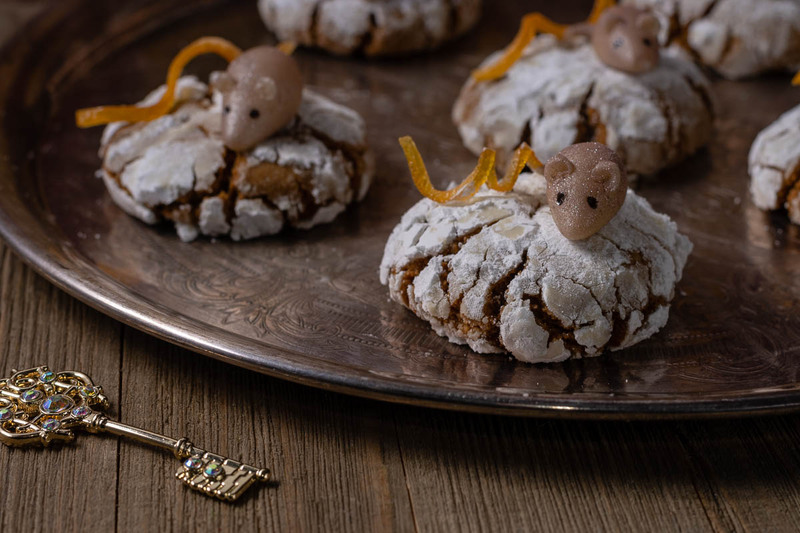 Excited for the Blu-ray release of The Nutcracker and the Four Realms, The Geeks have created a recipe for Mother Ginger Crinkle Cookies. These cookies are sure to impress! With a stand mixer stir together the flour, brown sugar, baking soda, cinnamon, ginger, orange zest, cloves and salt at low speed until combined. Stop the mixer and add the butter pieces. Mix at medium-low speed until the mixture is like sand. Reduce the speed to low and gradually add the molasses and milk. Mix until evenly moistened. Increase the speed to medium and mix until completely combined. Using a rubber spatula, scrape the dough onto a work surface dividing it in half. Shape each portion into two round disks. Cover both individually in plastic wrap and freeze for 30 minutes. Preheat the oven to 350° F. Line the two baking sheets with parchment paper or silicone liner. Place the coated dough balls 1-inch apart on the prepared baking sheet. Bake for about 12 minutes, until the centers are set. Cool the cookies on the sheets for a few minutes, then allow them to cool on a wire rack. Once cooled top with a marzipan mouse and candied orange peel curl. 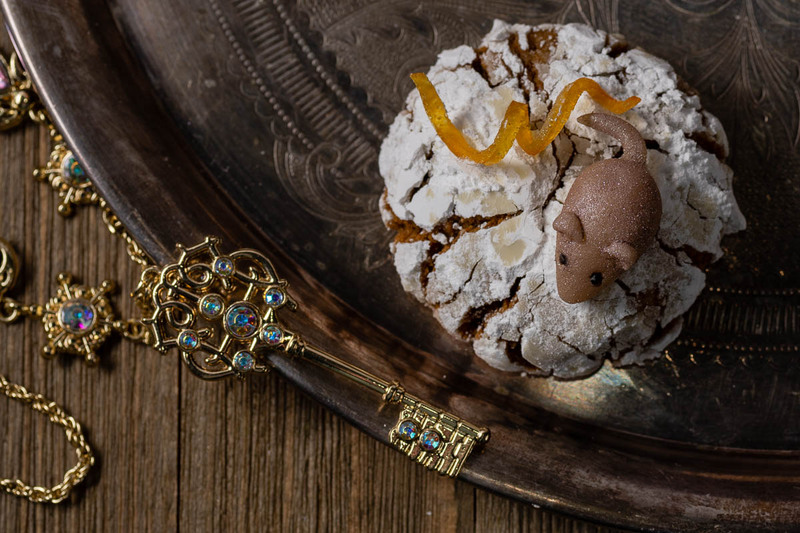 For each marzipan mouse- Shape a small bit of marzipan into a mouse and using a paintbrush dust with a combination of matte brown and silver luster dust. For the eyes use a toothpick to add a dot of black gel icing. For the candied orange peel curl- cut a thin piece of candied orange peel and wrap it around a skewer. Let it sit for 20-30 minutes to dry in shape. You may need to hold the skewers down with wood spoons so the curls stay tight. *This is a Paid Promotion for Walt Disney Studios’ The Nutcracker and the Four Realms. All opinions are wholly our own. Giveaway digital copies of The Nutcracker and the Four Realms provided by Fingerpaint Marketing. View our Disclosure Policy for more info. *This is a Paid Promotion for Walt Disney Studios’ Mother Ginger Crinkle Cookies. All opinions are wholly our own. Giveaway digital copies of Peter Pan provided by Fingerpaint Marketing. View our Disclosure Policy for more info.